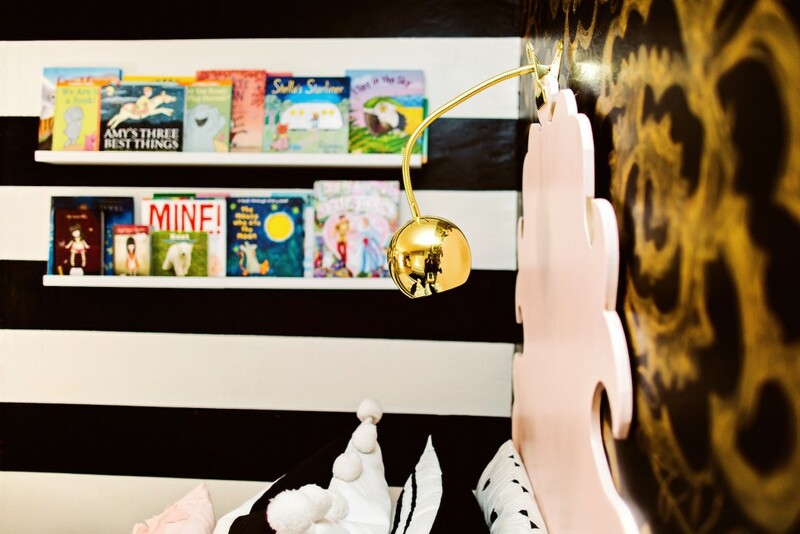 I am so excited to share with you my girls new bedroom. I’ve redone my girls room a few times and I’ve had a hard time nailing down a design that both of my girls like and that I like. 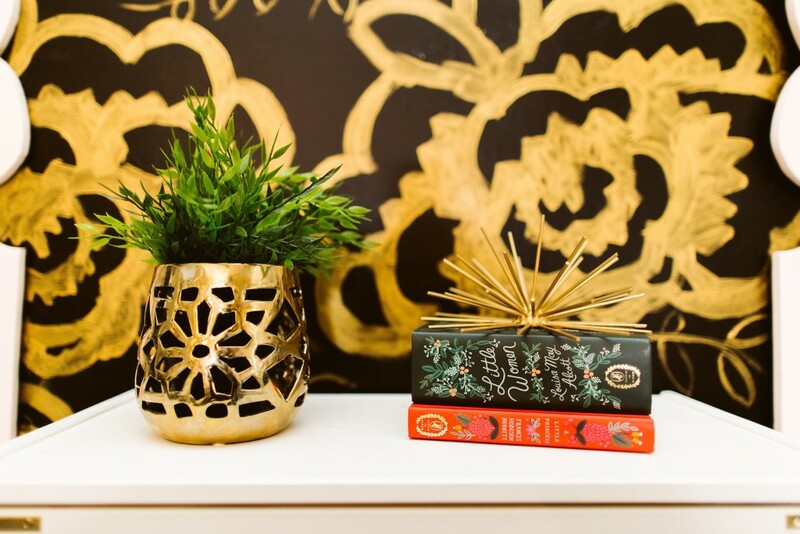 I’ve been loving black and white lately and I always love a touch of gold. I wanted to do something bold and exciting on the wall behind their beds so I really had to brainstorm to come up with something awesome.. 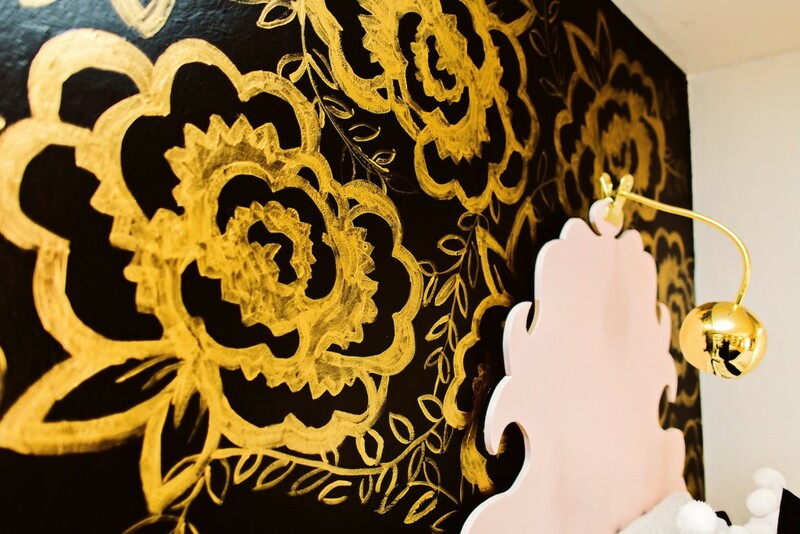 I ended up deciding on a black wall with a gold floral design. I’ll be sharing the tutorial soon. Isn’t that fun? 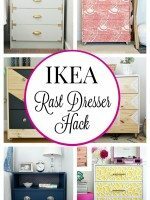 The nightstand are from Ikea and I did the Ikea Hack just like Mallory did HERE. 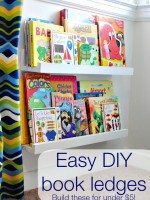 They are simple, clean, cheap and so easy to do. 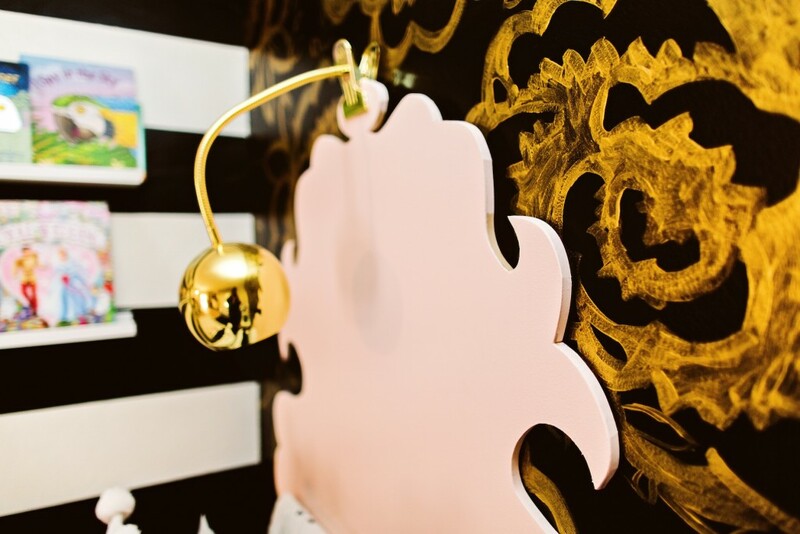 I am in love with gold and if you have ever been on Classy Clutter then you know that already! 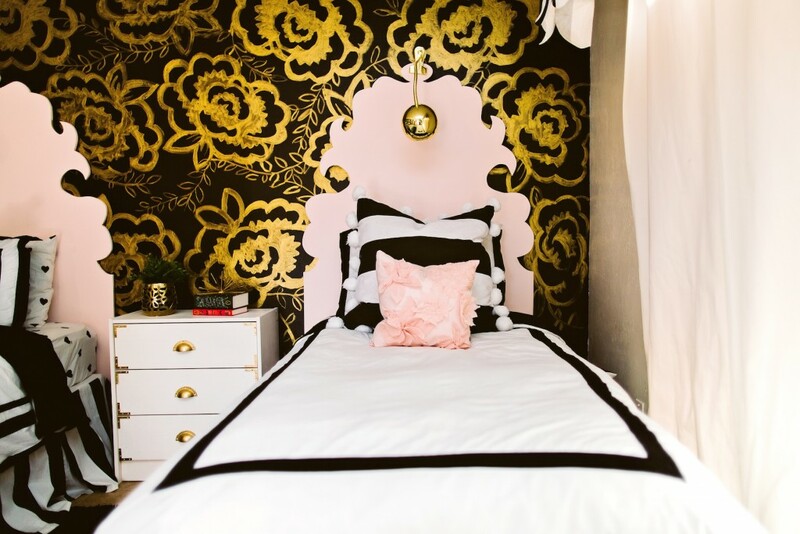 I made these headboards and I am so exciting about them. I used MDF and a jig saw and I free handed the shape. I only had to create one side and just copied it on the other side. I used butcher paper and it was a ton of trial and error to get the right shape and I love it. These clip on lights are from Land of Nod and TOTALLY worth the money I thought that I could DIY it but the real thing is just the BEST. The Bedding and the sheet set are from Pottery Barn Teen, you can find it here. 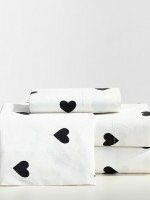 The sheets are my favorite, you can find them here. 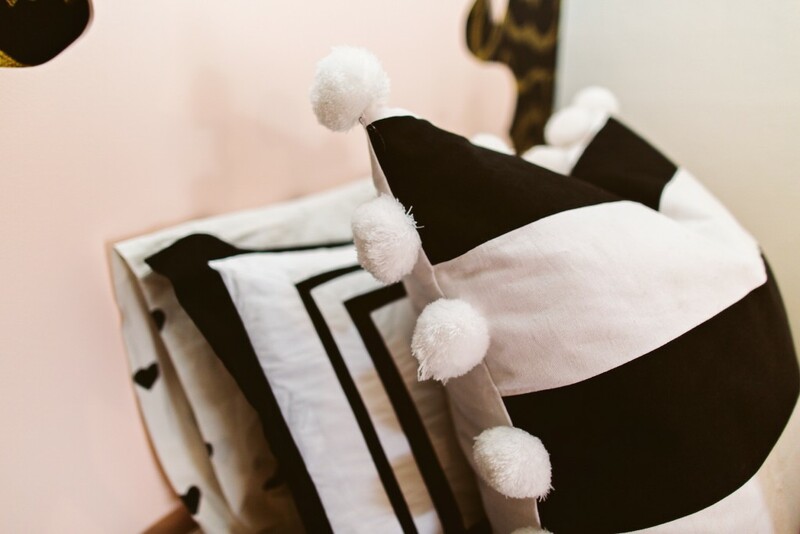 The cute black and white striped pillow is from HomeGoods! HomeGoods is one of my favorite places in the world. I really do get soooooo happy when I am there. I don’t think that I have a room in my house with out stuff from HomeGoods in it. WOW–It’s not easy to do “elegant” and” knockout” in the same room, but you have really pulled it off! 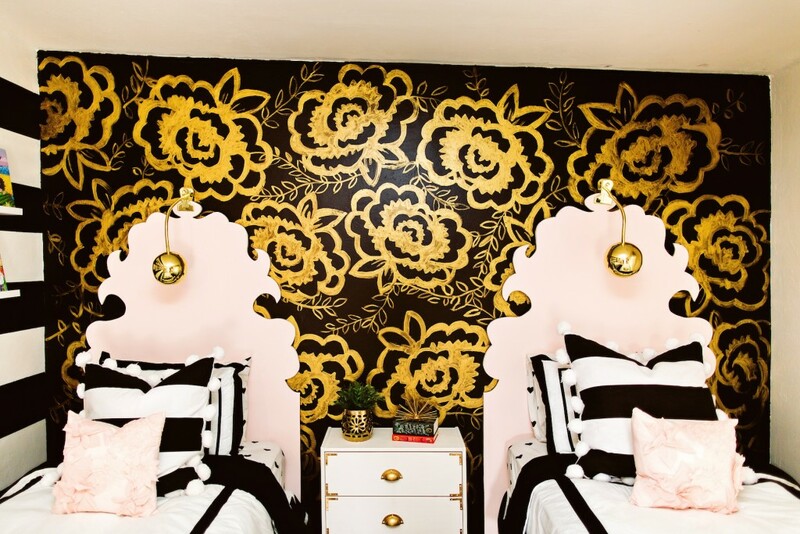 This is an amazing and beautiful room, and took a lot of courage to use those in-your face contrasts in a small space! You just proved that conservative “soft and pastel” is not a requirement. I love the back wall with the gold flowers, combined with the bold awnings and stripes. Are those freehanded? 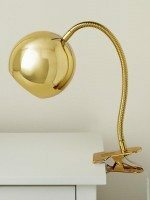 What kind of gold paint did you use? Will you write a little “how-to” for the rest of us? Thanks for sharing this, Javannah! beautiful and classy design. great work! I’m in love with everything about this room! 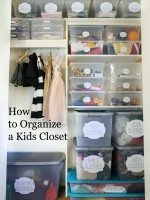 I’m saving it to my inspiration board, even though my daughters are all grown up and gone! Thank you. I love this room, and i can’t wait for the tutorial for te handpainted flowers on the wall. by anychance these exact same flowers could be made into decals?